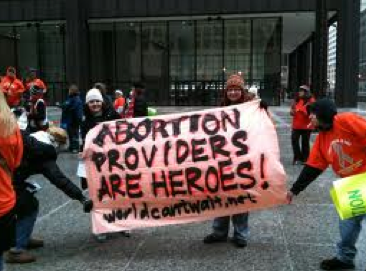 March 10th was designated National Appreciation Day for Abortion Providers. It is the 18th anniversary of abortionist Dr. David Gunn. Planned Parenthood of New York suggested sending flowers and thank you notes to abortion providers. How touching. In an apologia for National Appreciation Day for Abortion Providers published by Talking Points Memo, Colleen Crinion, a self described progressive activist and a former Planned Parenthood employee, lamented that women are being shamed from having abortions and regulations requiring admitting privileges are discouraging doctors from performing abortions. Crinion paints a picture of abortionists as valiant heath care professions who are performing a service which is no big deal and is safer than childbirth. Still Crinion concedes that: "Like any profession, abortion doctors are not homogeneously perfect." 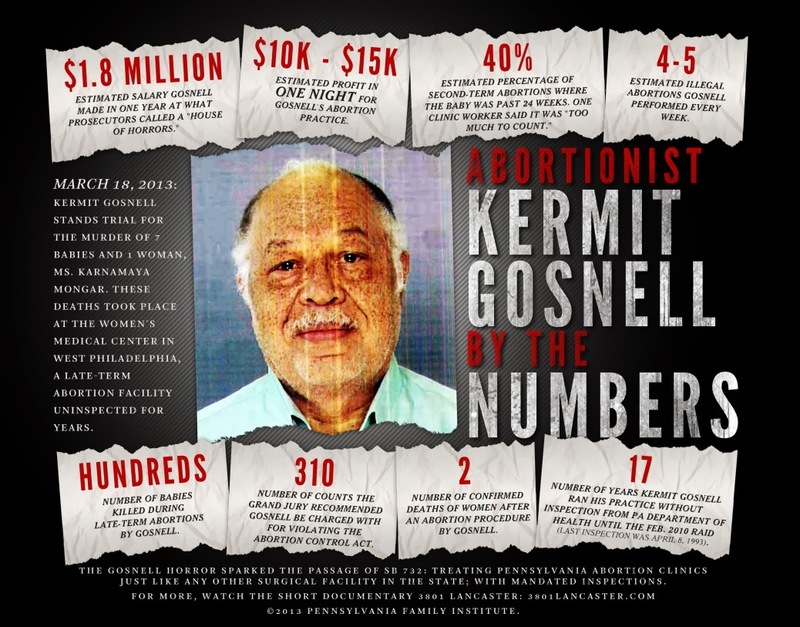 A better paradigm for National Appreciation Day for Abortion Providers is Dr. Kermit Gosnell, the Philadelphia abortionist who ABC TV Terry Moran labeled: "the most successful serial killer in the history of the world." Gosnell's practice consisted in late term abortions for minorities and immigrants in unsafe and unsanitary conditions. If Gosnell did not kill the child in the womb, he would snip the child's neck "to ensure fetal demise". Gosnell was tried for several post birth murders of children as well as for the death of a women who Gosnell botched an abortion in which the woman died because she was not admitted for more advanced medical treatment which would have exposed his House of Horrors. The Commonwealth of Pennsylvania may have turned a blind eye to his horrific practice because of political contributions and political correctness. Wonder if Gosnell received flowers or thank you notes while serving his life sentence without parole. Alas, Gosnell was not an isolated occurrence. An even more apt memorialization of the day might be a statue at Legazhi parish in Bicol, Philippines. This unsettling art should not bother those properly remembering National Appreciation Day for Abortion Providers. After all, pro abortionists contend that the fetus is just an unwanted blob of tissue. The sculpture reminds people of the consequences of their "choice" much more than buzz words like protecting "reproductive rights" or womens' health. In an age when many accept moral relativism, appreciating the humanity of a situation can cause metanoia towards moral truths and inspire ethical behavior. This is why progressives favoring "abortion rights" fight so hard against ultrasounds, waiting periods et cetera, as it allows for introspection and rejection of terminating a pregnancy. 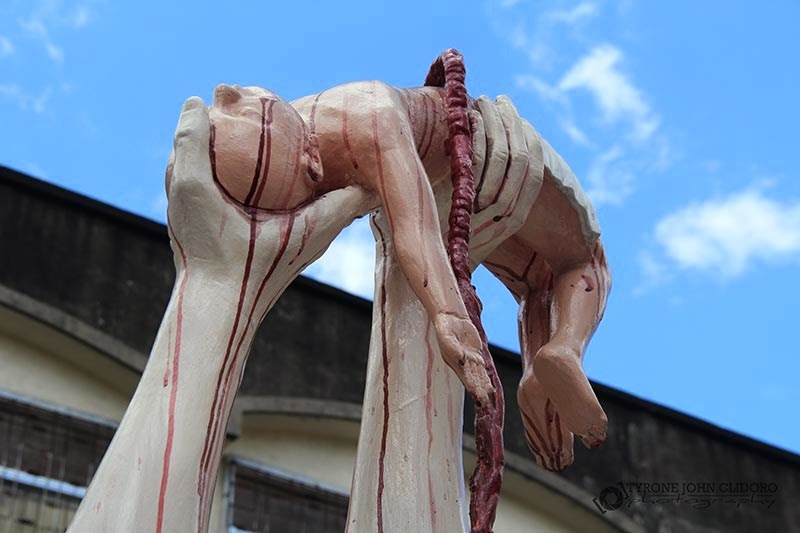 However, the Bicol Statue memorializes the abortionist's role. What ought to be remembered are the victims: the unborn child whose life is terminated and the mother. 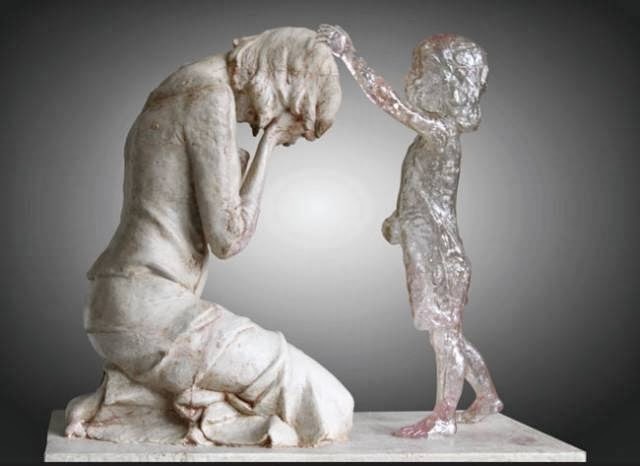 That is best expressed by a heart rendering work "Memory for Unborn Children" by Slovakian sculptor Martin Hudáček.